Fuel oil boilers can be expensive to have installed. While some of these boilers are self-venting units, many need a flue in order to get rid of all the byproducts of the oil burning process. That means a long pipe has to be run up through your home. Additionally, you will have to place a fuel oil tank on your lands and install a line from the tank to the boiler. These extra steps add time and cost to your installation. Oil boilers are a common solution for whole home heating where natural gas isn’t available. A replacement oil boiler price could range from an average cost of $3,800 to $7,500. They work well in small and large homes and come with some serious benefits compared to other heating sources. When buying fuel oil you typically have to pay for a minimum of 150 gallons at a time, which is an expensive initial investment compared to paying monthly for fuel. Such high initial costs can be challenging. An oil boiler draws fuel oil up from a tank, usually stored outside of the home. This fuel oil is sprayed over top of an igniter to create flames in the combustion chamber. The oil is sprayed continuously as a fine mist to keep the flame going. The flame generated by the oil warms up the combustion chamber which sits just below a water storage tank. Water is pumped from the house down through the tank and back up to where it is needed in the house again. As it’s pumped down through the tank it heats up dramatically and the water redistributes the heat to the rest of the house as it’s pumped away from the tank. Oil boilers aren’t the most common source of heat today, but they are still used in many remote locations that don’t rely on natural gas. 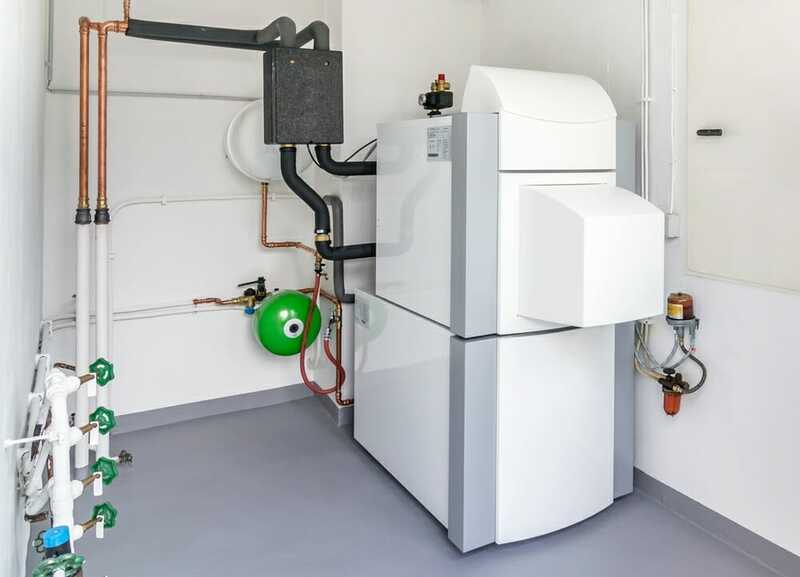 Oil boilers are relatively affordable heating solutions and they can provide a great deal of heating when needed. A single gallon of fuel oil is about $3.30 to $3.40 this year as reported by Adams and Glassmere fuel oil companies. One gallon of fuel oil has the potential to produce between 137,400 and 152,400 BTUs depending on the quality of the oil. With fuel oil prices being so low, and such a large BTU output from fuel oil, it’s easy to see how heating your home with oil can be an affordable solution. As stated above a single gallon of fuel oil puts out an enormous 137,400 to 152,400 BTUs of heat energy, which is enough to heat even very large homes effectively. A small generator can keep an oil system running when the power is out. Adding a small generator is simple to do, and it’s nice to be able to continue heating your home with your standard heating system instead of propane furnaces or some other type of heater. Fuel oil is significantly more expensive than natural gas for the amount of heat that you get from it. That being said, it’s generally more affordable than an electric boiler to run because of the sheer amount of heat you get from burning fuel oil compared to the lower amount of heat energy you get from an electric heating element. If you live in a section of the country that doesn’t have natural gas available, it makes a lot of sense to go with fuel oil instead.